Looking for a competent translation vendor? You’ve hit the jackpot! The online gambling sector is booming – and users online don’t mind where your business is based as long as you can offer them an exciting, rewarding experience. Translating your online gambling site or application is an excellent way to grow your target market. 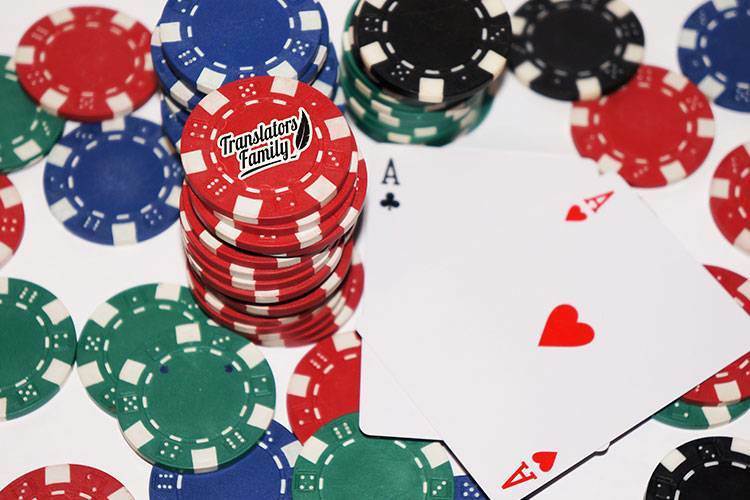 Translators Family is an experienced provider in this sector, having spent many years working on translation and localisation projects for a wide range of online casino, poker and betting businesses. Our specialist technical expertise means we can also localise web and software content of all kinds. Why choose Translators Family for your gambling translation projects? 2011-present: Ongoing English into Russian translation/localisation and proofreading of website and other materials for two related companies in the online sports book, casino, poker & bingo games business. More than 100,000 words. English into Russian translation and localisation for a poker website. 16,000 words. Long-term ongoing translation/localisation of website materials for a sports betting website. Several jobs for an online gaming business. English-Russian localisation of management applications offered to the company’s clients to configure and manage their casino games, plus online testing (over 50,000 words). Since 2009, the gambling business in Russia and Ukraine has been restricted and allowed only in certain designated zones. As a consequence, gamblers have turned to online services. Sports betting is the only legal form of online and mobile gambling in Poland. A successful online gaming or gambling service needs both translation and localisation services for maximum effect. Translators Family is ready to take on your gambling translation project, irrespective of volume. Don’t hesitate to contact us and/or request a quote. Our services are no gamble!